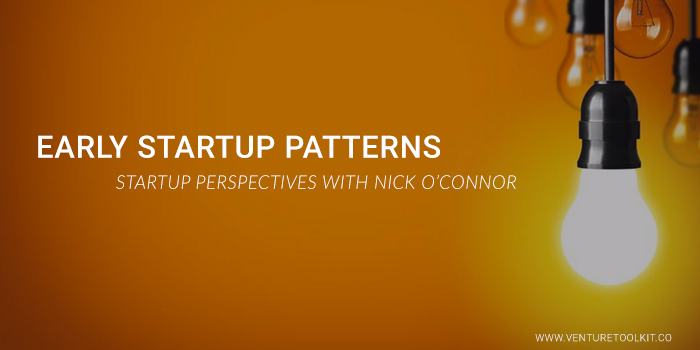 Nick O’Connor, the founder of Venture Toolkit and the Innovator’s Program, discusses his many years in the precarious startup world, from success to failures, and how he found value in it all. After graduating with a BSc in Physics from NUIG in Galway, Ireland, I was hired by Applied Materials to come work in Silicon Valley. At Applied Materials, I was trained to install and qualify semiconductor equipment at wafer fabrication plants where they made microchips. The work was amazingly hands-on and stimulating. To “startup” a tool in a customer’s factory I connected facilities (electrical, water, etc. ), calibrated a robot to transfer the wafers using a software controlled interface, and then process qualified the films deposited on wafers to be ready for production of microchips. To my good fortune, I was assigned to the Endura 5500, a new product that started to ship only a few months earlier. The month-long trial was a huge success. After reviewing both the tool productivity and wafer film electrical data with the customer—the IBM fab manager and his engineers—it was clear that the Endura 5500 was far superior to their current solution. As the engineers could not contain their genuine excitement with the performance of the tool over the previous 4 weeks, it was obvious that the Endura 5500 had a bright future. I would later realize that what we had accomplished was defined by Mark Andreessen in 2007, as a “Product Market Fit.” This is the first big milestone for a startup/new product and nothing else matters until you achieve this. 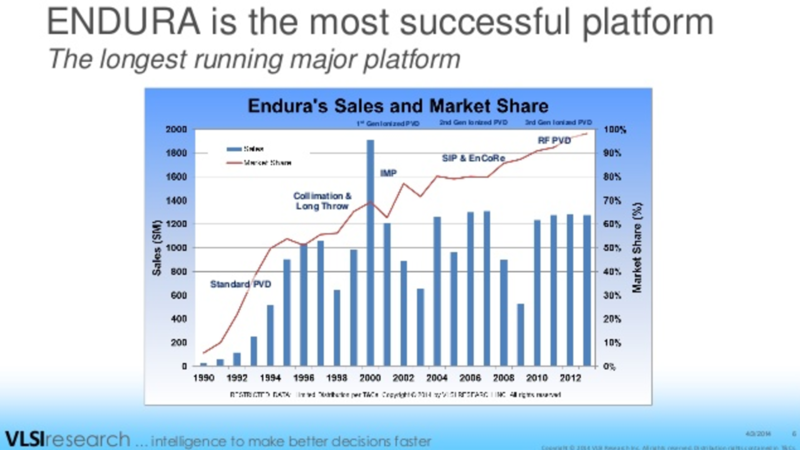 The Endura 5500 had just achieved Product Market Fit and the market was ready and growing. The Endura 5500 set all sorts of records. If Applied Materials was the 1990s Google of Silicon Valley, then the Endura 5500 was like the search engine. The business grew to over $1B in sales in 3 years, limited only by our ability to build and ship. The Endura 5500 would go on to be one of the most successful products in the history of semiconductor equipment, being used to create almost every microchip and generating over $13.5B in sales to date. I have nothing but fond memories of working in the Endura group at Applied. Sure we worked really hard, with lots of travel and long hours, but the excitement to be part of a team that produced such a great product was energizing and inspiring. A few years later I decided to move to a new product group, hoping I would have another “Endura like” experience. As before, I was working at the customer interface, where I like to be, as the signal to noise is the strongest. It soon became clear to me that my new customers were not nearly as excited about this product as the Endura. There were lots of complaints about performance, and requests to add new, unique features, were quite common. Since the product had already been launched, our ability to make any changes were severely hampered. Our customers had no choice but to tolerate the product as is. I quickly learned that an unhappy customer made product support much more challenging. 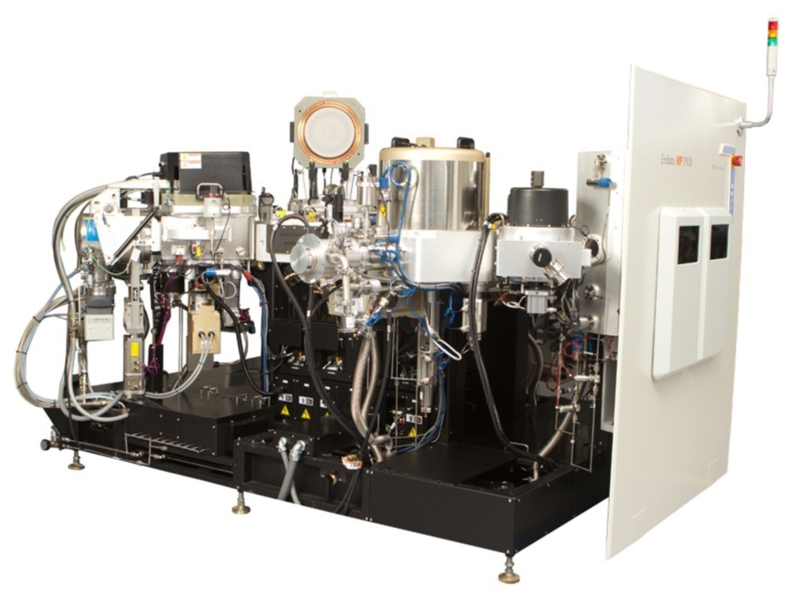 During the rest of my time at Applied Materials, I worked on a few more products that were mildly successful, and a few that were outright failures. For the longest time, I did not understand what made the Endura 5500 so successful, and why other products were business flops and some, only mild successes. I struggled to evaluate new product opportunities, wondering if there were a better way to evaluate an opportunity at the beginning and during the early phases to determine if they would be successful or not. A number of years later, after having first-hand experience leadership roles in both startup failures and some successes, I revisited my question from my Applied Materials days. It turns out the origins of the idea, versus the people behind the products I worked on, were very different. I learned that the blueprint for the Endura 5500 was created by a former engineer at a wafer fab. He was an actual user of the previous alternative product to the Endura 5500. The story goes that he designed his ideal product, the Endura 5500, based on his first-hand experience and needs as the user. He quit his job and arrived in Silicon Valley with the goal of partnering with a semiconductor equipment company to bring his product to market. It turns out that all of the companies he met with were not interested in his new product except for Applied Materials. The stories behind all of the other products I worked on at Applied Materials were not nearly as interesting. It turns out that they were conceived, designed, and led by engineers who did not have direct experience working in a wafer fab. The products didn’t come from actual user needs, like the Endura. They were at least one step from the user/customer. The fact that the all of the mild successful and failed products were designed by engineers who were not actual users should not be a problem but coupled with the culture of launching new products into the market for immediate sale, explained to me, the main reasons for the success and failure of the other products. Given that the Endura was designed by an engineer who had years of experience operating and using previous generations of these exact tools, the first version was already very close to providing the ideal user experience to customers. And given that the other products were designed by engineers that did not have first-hand customer experience, they needed more time and engineering resources to react to early customer feedback and iterate before scaling. Unfortunately, at the time, when a new product was introduced to the market it was launched for scale with no time for learning and iteration from first customers. This was not just an Applied Materials thing, it was a Silicon Valley thing. The sad irony of this situation is that this is still occurring in many startups and Fortune 500 companies new business innovations. The leader of these startups, especially first-time founders and internal innovation team leaders, have not had the first-hand experience of being in an early stage startup or new product group that has made the transition to product market fit. specifically, going through the laborious and often grueling experience of continually observing your first customers reaction to your product and either learning how to make your product better for them until they really like it and cannot live without it, or abandoning these customers for a more attractive early customer. At IBM Fishkill, all those years ago, I experienced the positive reactions of IBM engineers and technicians long before the Endura 5500 was a commercial success. At the time, I thought I was receiving an apprenticeship in field support, but later realized it was an apprenticeship in something much more valuable: high-tech entrepreneurship and what early success looks like. This only became obvious to me many years later after I had the same experience with a completely different type of customer and while consulting with Alain and Victoria, the founding team at Wildfire, a SaaS offering that allowed creative marketers and non-technical managers alike to create social campaigns and pages, communicate with their social audience, and measure social media performance. Wildfire provided self-service tools that replaced the need for an engagement with a digital marketing agency. I was hired to help them better understand their different customers and their needs, in order to help guide product and market decisions. I very quickly observed that customers loved Wildfire; it was so much better than the previous alternative and other SaaS offerings. Long before Wildfire went on to be a commercial success, I knew it was going to be a big success. I later worked with the founders of Roominate, an educational toy that inspires the next generation of kids to have fun with STEM. Alice and Bettina, the founders, started with an idea which took them well over a year of observing, testing and iterating through five versions of the toy with hundreds of girls aged 5 to 10 years old to finally build a toy that they truly loved. When it happened it was bittersweet as the success metric we agreed on was that the girl had to play with the toy for 45 minutes without instruction from a parent. If the girl did this we thought “now we have a really good product.” This was quite a high bar and it took a lot of product tweaks to make this happen but once it did finally happen it was memorable. I remember the first time it happened, we had just finished interviewing the parent at the kitchen table in their home and Alice mentioned that the 45 minutes were up. When she went to take the toy away, the young girl resisted, saying “No, no I want to play with it for longer!” after a few minutes we said, “Okay now we really need to go” and went to take the toy away from the girl again this time with the help of the parent. The young girl started crying saying “No!! I want to play with it some more!! !” Meanwhile, I packed up the toy and we left as quickly and politely as possible as the mom consoled the young girl. It’s not every day you can say, a child crying is a success. This started to happen frequently, so we had to start leaving the toy with girls overnight and come back to get it the next day. It was Alice and Bettina’s passion for inspiring young girls that created Roominate and made it into an awesome toy that young girls loved. Without the passion, they would have surely have stopped after the first or second versions of the toy. Roominate would have been another average toy. I was so excited to see the reaction of the kids and parents that I made my first angel investment. 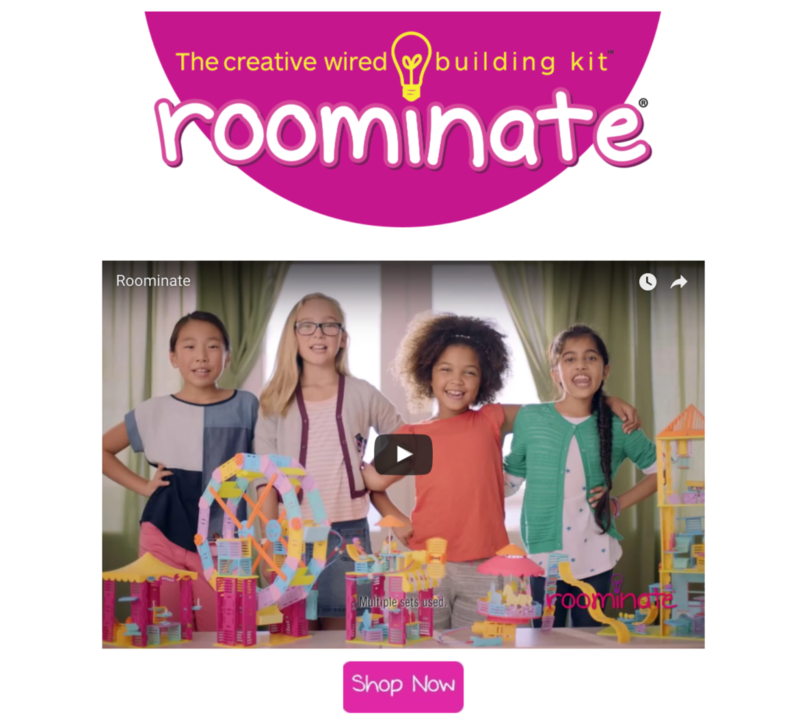 Roominate went on to sell millions of dollars of toys, created a vibrant online community for kids, getting acquired in 2016, and hopefully inspired thousands of girls to be engineers. In between my experiences working on the Endura 5500, Wildfire, and Roominate, I must have worked with over a dozen startups or corporate innovation teams. The one thing they all had in common was that none of them were able to build something that a group of early customers really wanted. Some of the startups raised millions in funding, worked with talented founders from top schools and companies like Google, and with many “customers” or “users.” There’s a lot of hard work going into engineering, lots of PR and marketing, investor pitches, conferences to attend, business development deals in play, but none of this matters as they had not built something that their users/customers really wanted. It seemed like such a waste that these talented founders were not even approaching their startup in the right way. Building something people really want is easy to talk or read about, but in practice, it is very difficult to achieve. It takes focus and discipline over an extended period of time. Founders need to be reminded of this when they get distracted and encouraged to keep at it when it seems fruitless. Internal innovation teams need even more help, they need an environment within the companies needs to be set up, in order to allow them to operate as a real startup. With the amount of talent, technology, and financial resources in big companies, their potential for innovation is incredible. If only they could leverage the best of what successful early stage founders do (think Endura 5500 & Roominate and many others) and be able to leverage the company as needed. That’s where the idea of Venture Toolkit came from, what if I could help big companies create their own innovation ecosystem to attract and retain their top innovators and help them turn good ideas into high-growth businesses? If you are interested in learning more, connect with us at Venture Toolkit and start your startup the right way.